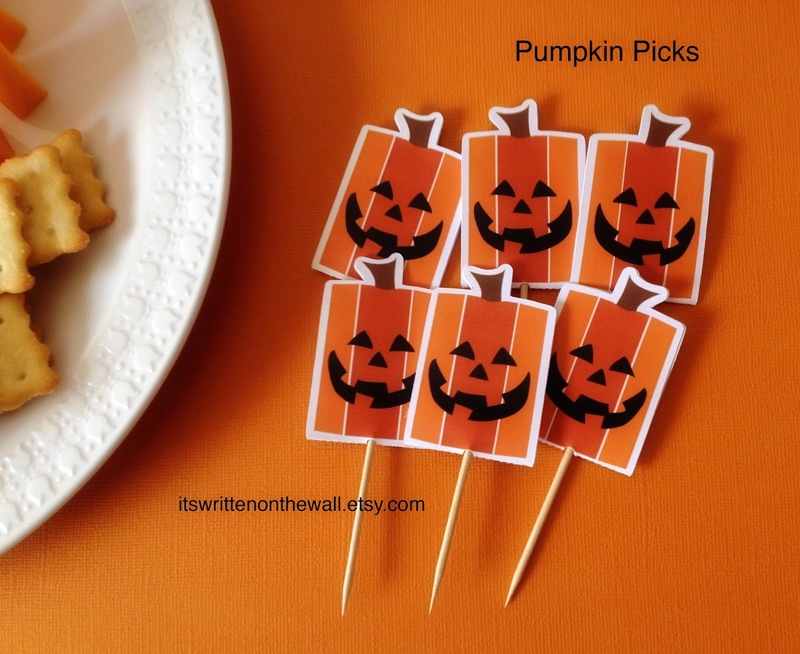 It's Written on the Wall: Dress up your Halloween Treats & Food with our Pumpkin Food Picks-Makes Food Fun! 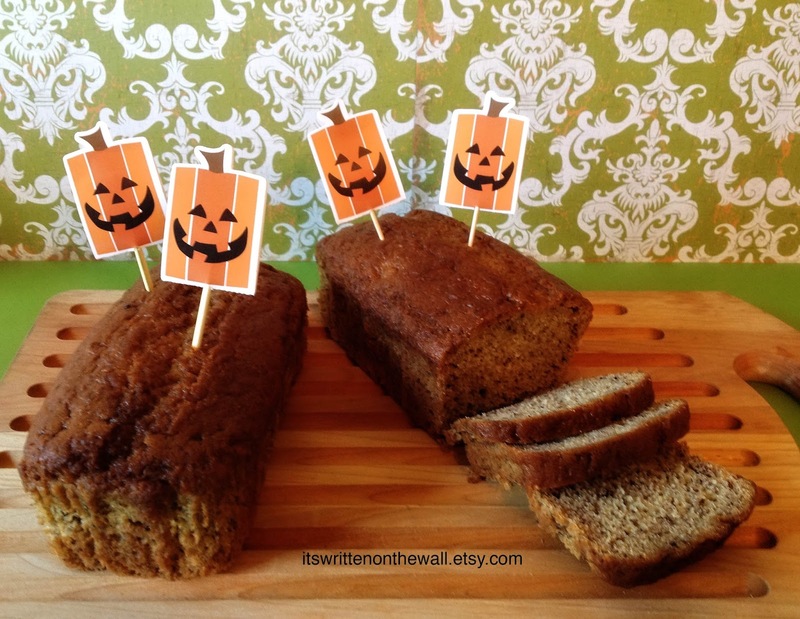 Dress up your Halloween Treats & Food with our Pumpkin Food Picks-Makes Food Fun! 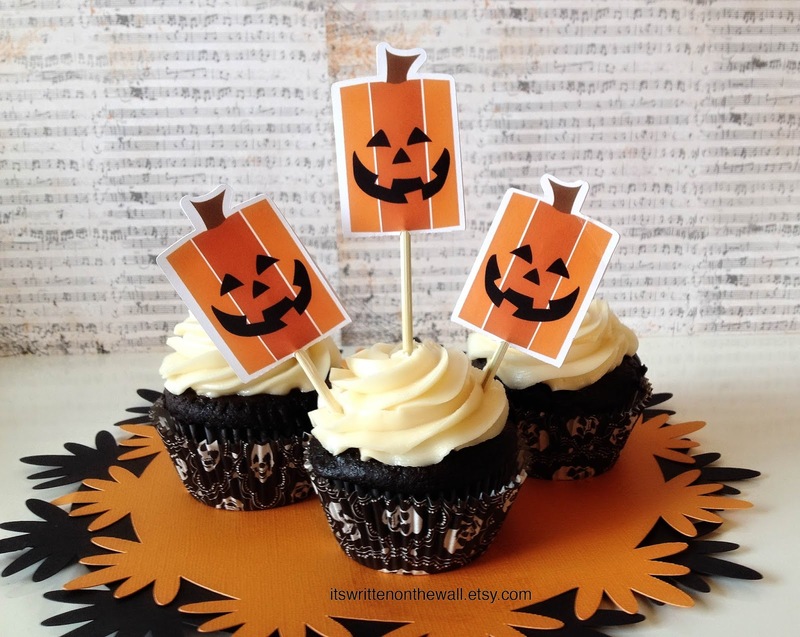 You know what the month of October means.......Treats Galore! You'll be taking treats to school, the office and to parties. 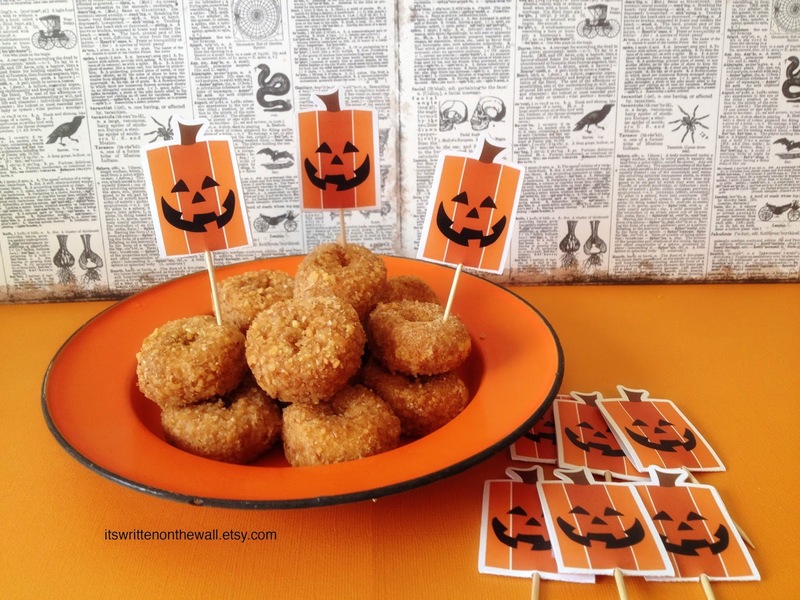 We've designed this Square Pumpkin Food Pic so it's simple to turn everyday food into a Halloween Treat. They are double sided so no matter what angle you are looking at them they always look great! 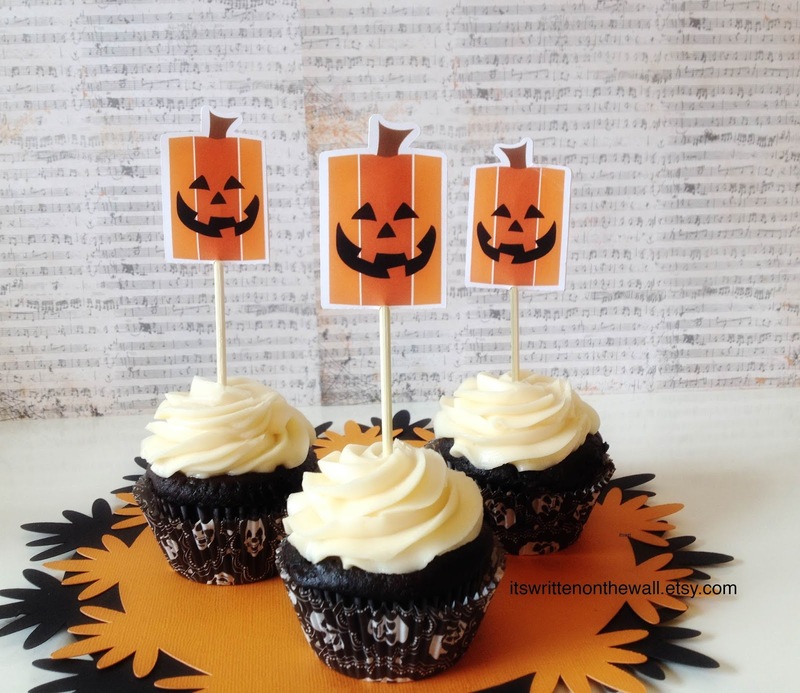 Cupcakes are a must for Halloween and now you have a Festive Halloween Cupcake! You can use skewers or toothpicks with these picks. 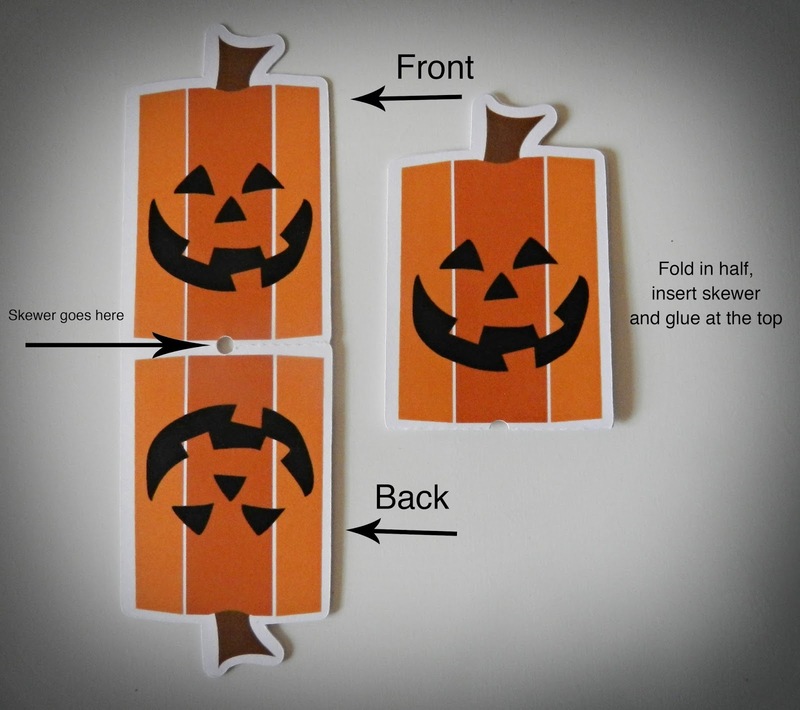 Just insert the toothpick or skewer, tape it down on the back piece, fold and glue just the top of the the two pumpkin pieces and you're done. 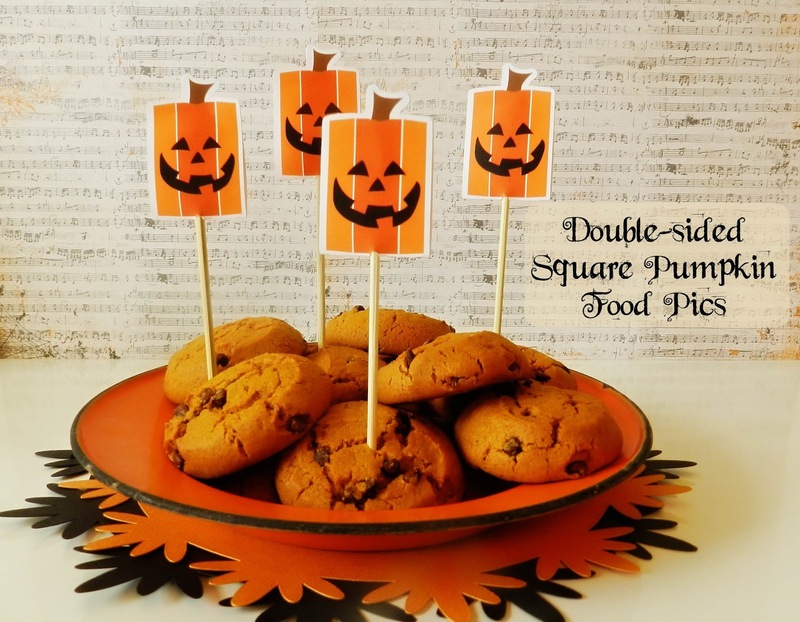 These Square Pumpkin food picks are double sided so that no matter how you look at them you'll always see this cute, smiling pumpkin! 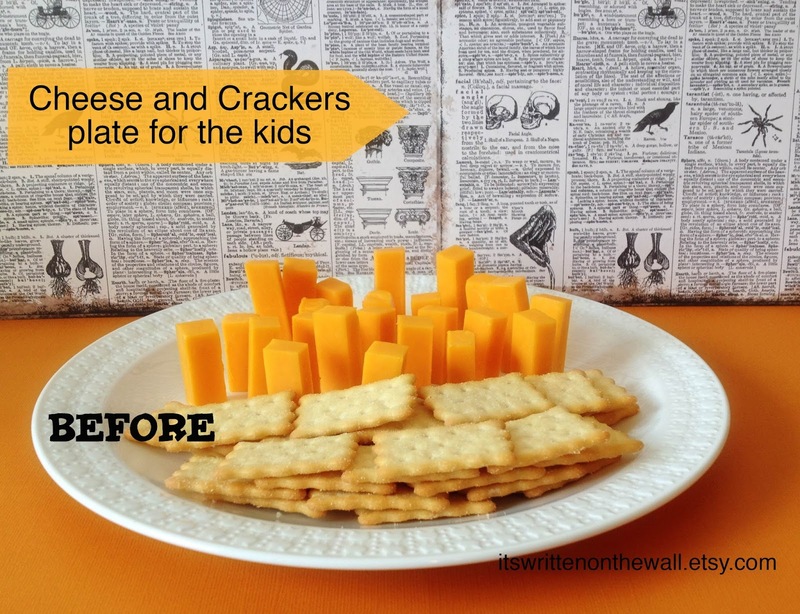 Isn't it amazing that it only takes a little square pumpkin to improve on this Kid Friendly Cheese and Cracker plate. It's fun and easy for the kids to grab and eat. We just took Cheddar Cheese sticks and sliced them at different lengths and put on the plate. Place the Pumpkin Pics on the side for everyone to use. 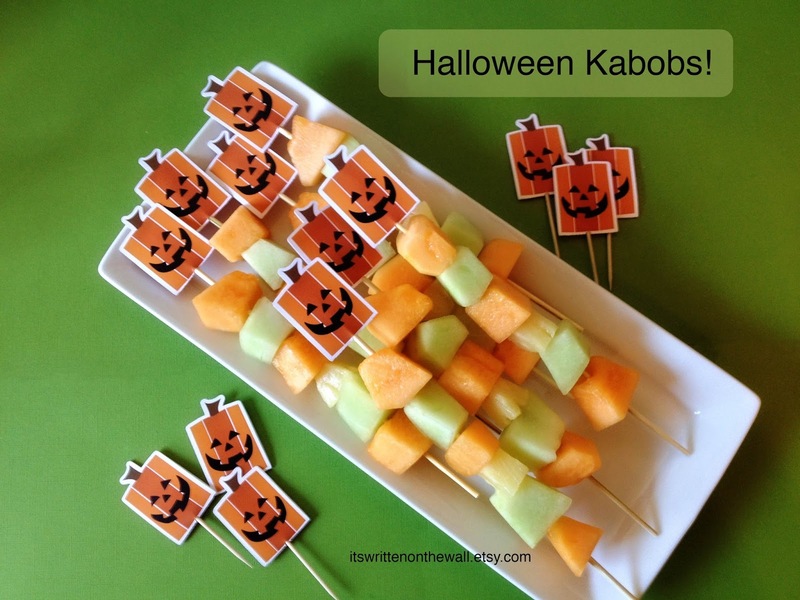 It's simple but the kids will love it and it's not a sugary treat. 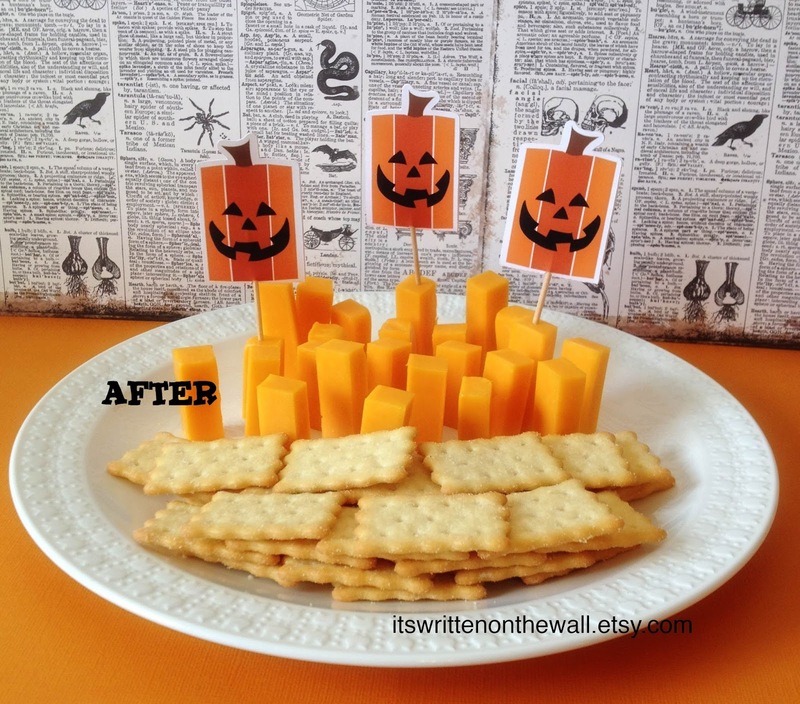 Use toothpicks in the Pumpkin Pics so you can add them to smaller food plates. The opening in the food pick is larger enough for a skewer or a toothpick. You can use these for a simple plate of donuts too.